Two Amtrak workers were charged Tuesday with over billing the company for more than 900 overtime hours they didn't work. Federal prosecutors say Richard Vogel, of Edison, New Jersey, and Donald Harper, of Somerset, New Jersey, were charged with fraud on an agency receiving federal funds and theft of government property. Both men were arrested Tuesday and were scheduled to appear in court in the afternoon. It wasn't known if either man had retained an attorney. Vogel has worked for Amtrak for 39 years, prosecutors said, and he supervises 35 employees in Amtrak's New York division. They say he fraudulently billed Amtrak for about $71,000, including 688 overtime hours and 41 regular hours he didn't work from November 2015 to June 2016. Video surveillance was used on Vogel's home to show he was not at work at sites in Linden and Princeton Junction, according to legal documents filed in the case. Harper, who supervises 19 employees, has worked at Amtrak since 1990. Authorities say he fraudulently billed Amtrak for more than $20,000, including 192 overtime hours and about 28 regular hours. While investigating the matter, officials looked at cellphone records and billing records. They also tracked data from a GPS device that had been attached to Harper's Amtrak-issued vehicle. "Amtrak does not tolerate fraud, waste and abuse or behaviors that are inconsistent with our company values and standards of conduct. 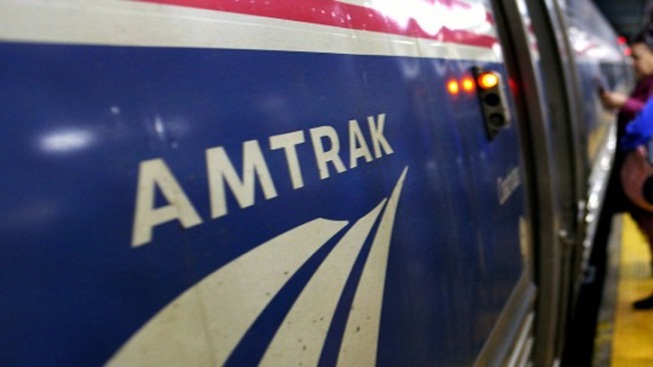 We expect all employees to charge their time accurately and consistent with company policy and labor agreements," Amtrak spokesman Craig Schulz said. He said the company will "take the appropriate action" with the two union employees. Harper and Vogel face up to 20 years in prison if convicted in the fraud and theft of funds charges.